I've always liked that word. Indempotent. 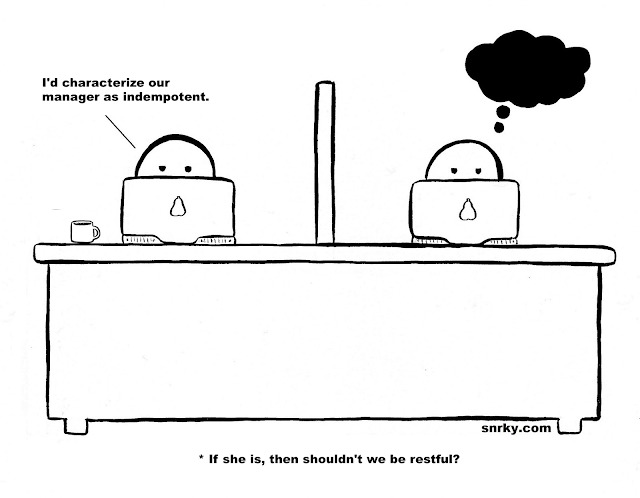 Reminds me of omnipotent, I think is why, even though they really have nothing in common other than the shared suffix, but it does have me wondering how long do you think an indempomnipotent manager would remain a manager? I suppose if the Peter Principle is in full effect where they are employed, it might be a good long while.